The Russian military press has published relatively little on this spring’s draft which is set to end in just a few days. There are, however, data points worth examining against what was written here. 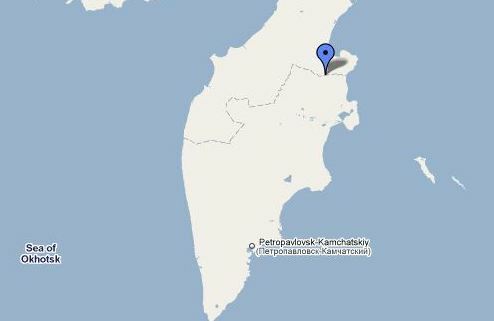 On June 21, Mil.ru noted that Russia’s Western MD is getting 48,000 of this spring’s conscripts. That’s a pretty enormous 34 percent of all draftees. Mil.ru also reported the Black Sea Fleet has gotten 1,700 of 2,600 new men it’s expecting. We already heard that the Baltic and Northern Fleets were getting 5,000 and 2,500 conscripts respectively, putting the Navy over 10,000 without counting the Pacific Fleet’s share. If we guess the latter gets 3,000, this puts the Navy at 13,000 for the spring campaign. That would be nine percent of all draftees, not the predicted six percent. A similar number from last fall would make 26,000, and conscription would account for perhaps 19 percent of Navy manpower. On May 21, the Russian military indicated that 8,000 draftees were going to the RVSN. That’s six percent of the spring cohort rather than the estimated eight. About 26 percent of RVSN personnel might be conscripts. The MOD website reported on May 7 that the VDV will take more than 6,000 draftees. That gives the Russian airborne four percent of the current allocation of conscripts, about as predicted. A roughly similar number in the fall would mean the VDV are 30 percent conscript-manned. Seems like standard stuff but there might be something here. It could be the U.S.-Russian deadlock over missile defense. 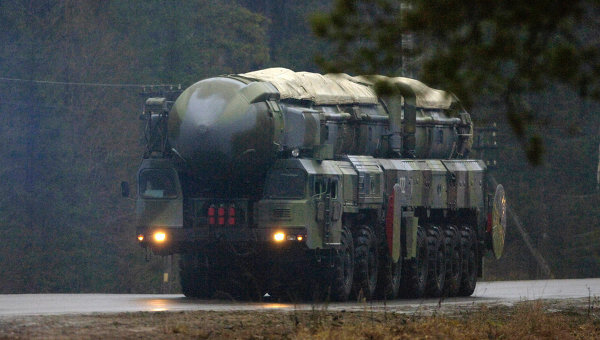 It might (somewhat ironically) be the increasing age of Russia’s mobile ICBMs. There are probably additional or alternative explanations. Krasnaya zvezda and Mil.ru have dedicated print recently to Russian mobile ICBMs spending more time on their combat patrol routes. On January 18, KZ wrote that Topol, Topol-M, and Yars units from central Russia and Siberia are in the midst of exercises to implement the highest states of combat readiness and to carry out combat duty on combat patrol routes (in field positions). Troops are conducting a number of training tasks — system calibration, engineering preparation of field positions, CCD (maskirovka), and combat security. They also have to react to training “injects” from higher commands. The Defense Ministry’s daily said units would be deployed to field positions for a longer period, from January 16 to February 3. It indicated all divisions and units will also institute a new type of training this winter — a “complex practical exercise” in implementing combat readiness. RIA Novosti’s account indicated this annual training is routine, just with more time spent in the field. You can find additional relevant info on RVSN combat duty and patrols here. Strat forces aren’t this author’s favorite or best subject. Unlike some other Russian military issues, there are many places to turn for info on ICBMs, SLBMs, ALCMs, and their launchers. Yet one still can’t resist a whack at yesterday’s story. So, SS-25 regiments will gradually be rearmed with the MIRVed RS-24 / Yars. 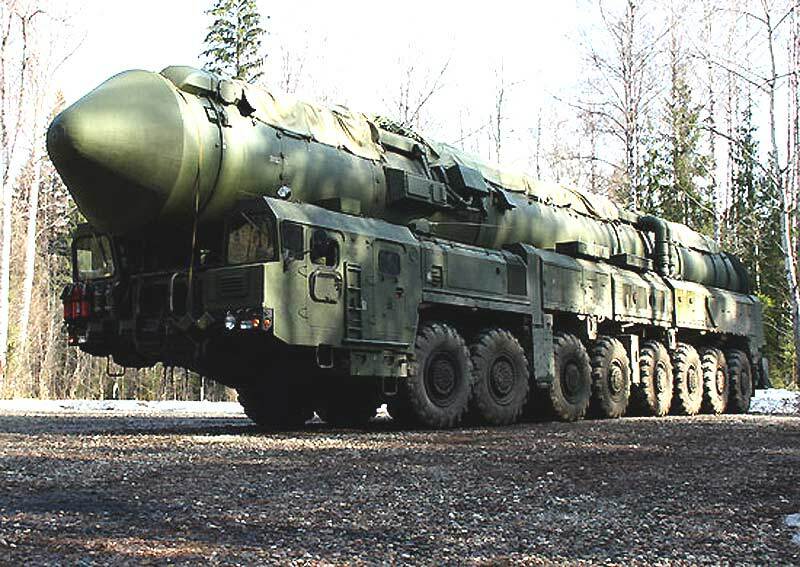 Media outlets noted Russia is currently rearming its second RS-24 regiment, and its sixth silo-based SS-27 / Topol-M regiment. This isn’t the first, and probably won’t be the last, service life extension for the SS-25, which had an original warranty of ten years. Its life was extended to 20 years with a test in 2005, to 21 years in 2007, and 23 years, or until 2015 according to an RVSN spokesman, with a firing last October 28. What caught one’s eye was Russianforces.org’s attention to the fact that the Russians say they’ll extend the service life by two more years (25), but the missiles will stay in the force four more years (2019). Russianforces concludes Moscow must’ve been making SS-25s as late as 1994 rather than 1992. In any event, it’s a cheap way to keep deployed ICBM numbers up, as long as the SS-25 performs. A 25-year SS-25 lets them stretch RS-24 and SS-27 deployment timelines, find SS-18 and SS-19 replacements, and produce Bulava SLBMs at a time when there are many other demands on the defense budget. Maybe it gets the RVSN to 2014 or 2015 before they have to deploy the RS-24 more quickly to replace retired SS-25s. If they further extend the SS-25’s life, maybe they get close to 2018 or 2019 before the RS-24 deployments really pick up. At any rate, it was notable that Karakayev put his stamp on the SS-25’s life extension. President Medvedev’s Armed Forces personnel decree from today. Colonel Vadim Anatolyevich Shamarin, Chief of Communications, Deputy Chief of Staff for Communications, Eastern MD. Colonel Aleksandr Mikhaylovich Galaktionov, Commander, 7th Missile Division. Colonel Yuriy Gennadyevich Kashlev, Commander, 62nd Missile Division. Rear-Admiral Yuriy Nikolayevich Lichkatyy, Chief of Staff, Rear Services, First Deputy Chief of Rear Services, Northern Fleet. General-Major Sergey Viktorovich Goman, Chief of Rear Services, Deputy Commander of the Operational-Strategic Command Aerospace Defense for Rear Services. Trying to keep score on the RVSN command changes, it looks like we’re now seeing changes of command in half of Russia’s missile divisions — 14th, 8th, 60th, 7th, and 62nd. You can add that to new commanders, and new deputy commanders, in the 31st and 33rd Missile Armies. The wave of appointments, dismissals, and reshuffling in the upper echelons of the military leadership continues . . . this one features the dismissal of Vice-Admiral Borisov, the shipbuilding chief, who reportedly went down over his role in the December round of Mistral talks with the French. This one also has a lot of changes and shuffling of officers in RVSN armies. Here’s what President Medvedev’s 19 April decree on Defense Ministry personnel does. Colonel Aleksandr Vasilyevich Deryavko from the post of Commander, 60th Missile Division. Vice-Admiral Nikolay Konstantinovich Borisov from the post of Chief, Shipbuilding, Armaments, and Arms Servicing, Deputy CINC for Armaments, Navy. Colonel Aleksandr Vladimirovich Kasyanenko, Deputy Commander, 31st Missile Army, relieved of duty as Chief, Military Academy of the RVSN Branch (Rostov-na-Donu). General-Major Aleksandr Dmitriyevich Sivachev, Deputy Chief, Military Academy of the RVSN, relieved of duty as Chief of Staff, First Deputy Commander, 33rd Missile Army. General-Major Valeriy Yevgenyevich Tarazevich, Chief of Staff, First Deputy Commander, 33rd Missile Army, relieved of duty as Deputy Commander, 33rd Missile Army. General-Major Ivan Nikolayevich Kuzichkin, Deputy Commander, 33rd Missile Army. General-Major Viktor Vladimirovich Lizvinskiy, Chief, Organizational-Technical Directorate, Deputy Chief, Main Armor Directorate, Defense Ministry. Colonel Andrey Gennadyevich Loginov, Commander, 60th Missile Division. Colonel Andrey Nikolayevich Mordvichev, Commander, 4th Independent Tank Brigade. Colonel Aleksandr Ivanovich Novkin, Commander, 138th Independent Motorized Rifle Brigade. Being practically the eve of Victory Day, news is hard to come by. Novaya gazeta, however, was nice enough to print an interesting article about Russia’s strategic shooting gallery — Kamchatka’s Kura test range. The author says, from the air, this 13,206 square kilometer patch of taiga looks like an unattractive golf course with a great quantity of holes. In Kura’s 55-year history, more than 5,500 “items” have landed here. Kura was called Kama at the time of its establishment in 1955, and two years later, the first missile, an R-7 (SS-6 / Sapwood) — the world’s first ICBM, landed here. So, the military’s calculations were correct. 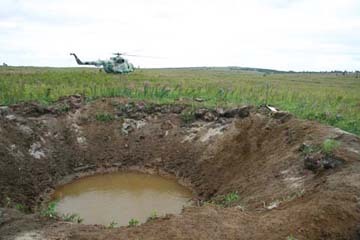 No aircraft or people ever suffered from a stray missile, but not every “item” landed as intended. They cut into mountains, or splashed in the ocean. In the early 1980s, one caused casualties in a Koryak reindeer herd. He says the range’s helicopter pilots are marvelous fliers, but it’s often the bears who first find what’s fallen from the heavens. All the oxidized metal is bad for the environment, of course. The local garrison is just tens of kilometers from the Klyuchevskaya Sopka volcano, and its ash and sulfuric acid takes a toll on equipment. The author says the locals say the warhead flights are spectacular. At first, there’s a bright star in the night sky, rapidly approaching the ground. Then a flash so powerful the street’s lit like daytime, but doomsday lasts not more than a second. In an instant, the big star separates into several smaller ones. Up to 10 warheads separate from the platform and fly at their own targets. Cooler than any fireworks. V / ch 25522 has 200 conscripts, about the same number of contractees, and 500 officers. Life in the garrison town is generally good. Soldiers preferred the old “Afghan” uniforms to the new ones from Yudashkin. The barracks are warm, and there’s been no violence or hazing in recent years, but there’s not much free time (or much to do) either. Soldiers can use their cell phones on days off. For Space Troops officers, service here is considered prestigious, and the pay is almost three times that in units in Central Russia. A year of service here counts double for hardship. The stores are significantly better stocked here than on the “mainland,” but the prices are also 2-3 times higher. Like everywhere, officers are being retired or put in civilian billets. Engineer pay at the range, with supplements and coefficients, is 25-30 thousand rubles a month. A lieutenant colonel gets 50-60 thousand. Winter is seven months, and earthquakes a daily occurrence. The volcanic ash isn’t good for people, but it isn’t deadly, they say. Many officers have served at Kura since the early or mid-1990s, and they don’t complain. The work is interesting, and the surroundings beautiful. Things are better than 10 years ago when personnel didn’t get paid, and pilots had to buy their own spares for their helicopters. Now equipment gets repaired, and the pay’s on time.